Right now, Openmw applies Fortify Effects to the player when they choose the Lady, Lover, or Steed Birthsigns, instead of increasing the base stat. First of all, this is different from Vanilla behavior, and thus against Openmw's goal to recreate the vanilla engine 100%. The way Openmw handles these Birthsigns also allows the player to level Endurance, Personality, Agility, and Speed over 100. Another problem this causes is that it makes the Lady Birthsign useless, because the fortified Endurance doesn't affect the player's health gain per level like in Vanilla. In Morrowind birtsign bonuses are added to the base parameter value instead of modified. 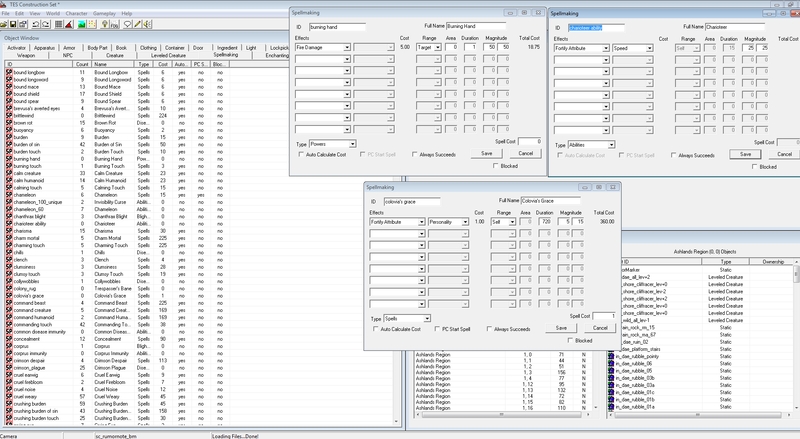 A bit useless, as for me: In Morrowind values are capped by 100 (75 + birtsign bonus), in OpenMW values are capped by 125 (100 + birtsign bonus). As for me, adding birth bonuses to base stats is just a hack to workaround bug with Restore attribute effects (they restore only to base attribute value, even if the player has buffs). Bethesda did not bother to fix this bug, so it is an obvious solution to prevent Lady and Steed from being totally useless. The question isn't how useful the birthsign system was in the vanilla engine. The question is whether or not it was a bug. You are defending a derivation from the vanilla engine based on balance and how useful you think the birthsign is. By this logic we should also change the way the other birthsigns work to make them more useful or balanced. No, it is for modders to balance birthsigns. Openmw's job is to mimic the original engine exactly, minus the bugs. Since this isn't a bug, it should not derivative from vanilla's behavior. Vanilla behaves one way. OpenMW is behaving another way. Kinda difficult to fix. Currently birthsigns, being effectively spells, fortify the modified attribute and not the base value. This does cause at least one issue down the line: skill training only works up to the base value of the patron attribute and ignores the birthsign. I'm not in a rush or anything for this to be fixed, but as long as it will be fixed when the solution comes, I'm happy. What exactly is the problem though? Can't the birthsigns be changed to modify the base stat instead fortify it? I'm a bit confused as to what makes it difficult, but I'm not a coder, so I can't complain. And yeah, it would be good to stomp this inconsistency out because of the butterfly effects it has on other mechanics such as training, as you said. Well, this is my opinion. Because the birthsigns are essentially constant spells, The Lady Lover and Steed birthsigns work inconsistently compared to the rest of spells in Morrowind. Having them work consistently as everything else does is a plus in my mind for OpenMW, though it may deviate from vanilla Morrowind. They're not constant spells in the vanilla game. Looking at the vanilla game I am convinced that they are and I didn't anticipate that someone would disagree with me, so I didn't make a case for it. But maybe I should explain my line of thought. Powers that are exactly like spells that cost no mana but you can only use them once per day. Abilities which are like spells and last forever (constant effect). Diseases which are basically just like the abilities in that they behave like constant spells. Okay, maybe you're not entirely convinced yet, so I'm going to add something ontop. What command line would you be writing in the console if you wanted to add the ability from The Steed birthsign onto your character? player->addspell "charioteer ability"
Why is this a major implicator that the ability is basically a constant spell? Well, not only does the game treat it as a spell in the list of icons, it also bundles it together with enchantments and spells. For example, if I wear Boots of Blinding speed, the icon information will add them together as if there is no fundamental distinguishment. 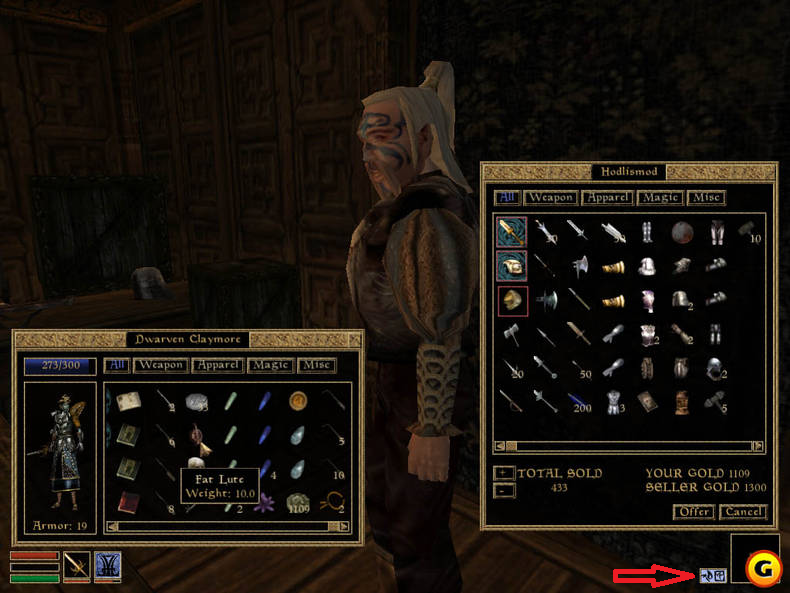 Morrowind has and utilizes a way to increase stats without spells and producing a spell icon. This can be seen in some quests, such as Widowmaker, where one of the endings gives you +1 strength permanently (does not go over 100). I can see the intent behind making the birthsigns behave in a strange way, but I prefer the way OpenMW does it due to being able to increase stat hard points already with the widowmaker method and having abilities provide a soft point bonus in a way that is consistent with the rest of the spellmaking subtypes. Having it behave similar to the widowmaker hard stat method robs us from 1 extra variety of behavior, which makes the engine more unflexible if you're into content creation. Okay but that doesn't have anything to do with how they function.